Food connects! Yes, you must agree to this phrase, it connects different cultures, celebrations, apart from the cuisines. Chinese culture is also one such thing which I got connected through food. Qu Yuan, the China’s first recorded poet, to signify his works and celebrate him, Chinese celebrate Dragon Boat Festival which is locally known as Duanwu. I got an opportunity to be part of this celebrations hosted by Memories of China, Vivanta by Taj curating Chinese specials in the menu by Executive Chef Ramasamy Selvaraju and Chef Lai Hin Tong William. It was a pleasant Sunday afternoon to cherish the Chinese cuisine. The menu was set to depict the authentic Chinese delicacy. Not to mention, Chinese love eating. Food takes a predominant position in their culture. In the traditional style, we were served the lunch, initially, to start off with we were served with hot tea. Trust me, it is worth sipping in between the meals as it keeps your throat warm and cozy throughout. The lotus stem and chestnut starter, they served was awesome. As it was prepared to the apt consistency to melt down in the mouth! The unique taste of the lotus plant left me longing for more. Stir Fried Veggies is one of my favorite dishes in Chinese restaurants. Since, it’s light and simple, which was perfect at Memories of China. Salt & Pepper Tofu was perfectly prepared with the blend of salt & pepper. The tofu was crispy outside and soft inside. The dish was garnished with fried garlic, which made the dish Wow. Shitake, button and Oyster mushrooms were sautéed with some flavorful sauces and garnished with fried sesame seeds. The mushrooms were soft and juicy; it goes well with Fried Rice. Fried rice served was good, as the vegetables and the flavors were perfectly blended to meet the taste buds. Noodles were a good one to venture on. The noodles definitely don’t require a description when it comes to places like Memories of China. The traditional dish Zongzi was served with salt and sugar. Based on your taste preference, you can choose the any one of them. It tasted great with sugar (which I tried). Chilled Alphonso Pudding was one of the desserts, they served us. The delighted yellow dish was treat for eyes, tempting me more. It tasted refreshing. Mango dim sum was good, a unique dish. The finely chopped mangoes into blocks were stuffed in the dim sum. Though, not sweetish, had a flavor of mango. Finally, the most awaited dessert, the Tiramisu arrived. Even this had a unique touch of Vivanta, in terms of presentation and taste. It was a good one to end our lunch. Amazing hospitality, felt like you are home away from home. Thanks for the co-operation of the staff and their valuable and patient service. Chef also interacted with us to share his thoughts on the curated special menu and recommended some of the best dishes. 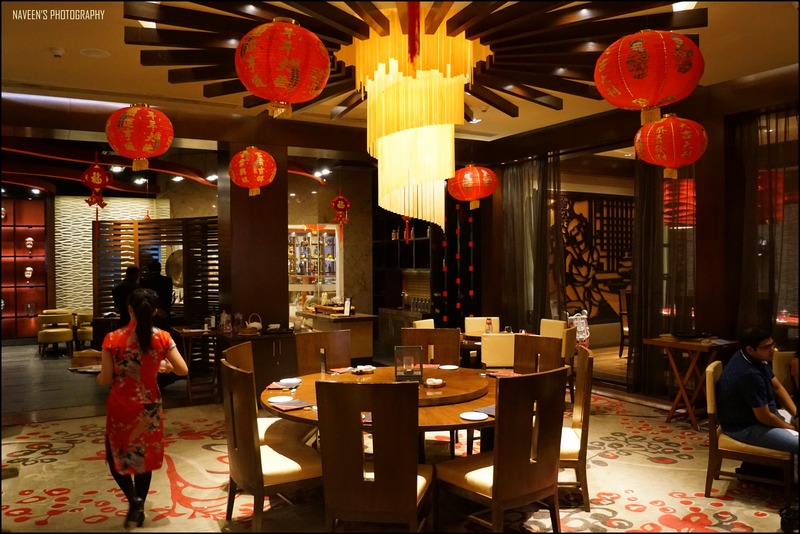 If you are a Chinese food lover, rush now, don’t miss this opportunity of savoring on Chinese delicacies.